The national football governing body said Thursday it will form a task force in response to criticism raised against operations of the men’s national squad at a recent tournament. The Korea Football Association (KFA) said officials from different departments will be assigned to the task force by the end of this week. The task force then will take a closer look into issues with operations and administrations of the national team and come up with solutions by March. In particular, the task force will be charged with reforming the KFA’s football science department and reviewing roles of the national team doctor and physical trainers, among other members of the national team support staff. Kim Pan-gon, head of the KFA’s national team coach appointing committee, will double as the task force’s head, the KFA added. 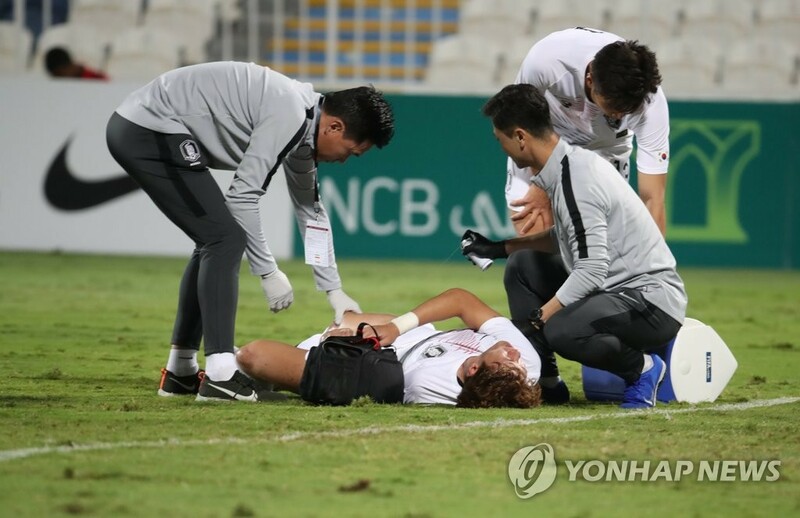 The KFA is taking these steps in light of its mishap with the medical staff during the Asian Football Confederation (AFC) Asian Cup in the United Arab Emirates (UAE) earlier this month. South Korea took four rehabilitation specialists to the UAE, but two of them were working without having renewed their contract at the end of 2018 and were sent home during the tournament. With key midfielders Ki Sung-yueng and Lee Jae-sung sidelined with hamstring and toe injuries, the KFA took some heat for hiring a cardio and thoracic specialist as the main team doctor, rather than an orthopedic surgeon.